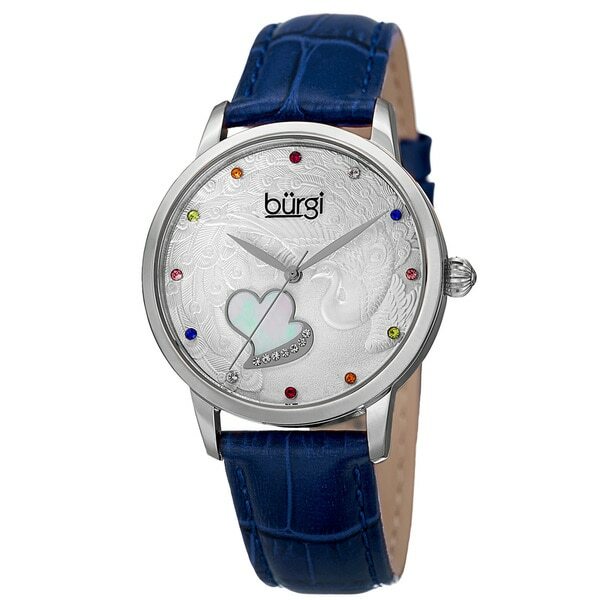 This beautifully crafted Bürgi timepiece will capture your heart. Its polished exterior accentuates the elegant dial that features a heart studded with Swarovski crystals and a peacock design. The multi-color crystal markers enhance this stylish watch. I love this watch - strap leather - color is true - face very pretty- would buy it again. Perfect size and love the blue band. This was perfect! She really enjoys it ! so pretty on my arm. I'm really happy with it. Love this watch! So happy with my purchase.